Halloween may be over, but the Red Cross wants your blood. Of course, it’s for a good cause. According to the American Red Cross Blood Services website, it is fighting a blood shortage and is in critical need of donations. To address the shortage, the Red Cross is holding a number of blood drives open to the public. Westfield Friends School in Cinnaminson is holding a drive Nov. 23. Alana Mauger, communications manager for Red Cross Blood Services for New Jersey and parts of Pennsylvania, has some concerns over the amount of blood that has been donated so far this fall. The need right now is especially urgent heading into the holiday season. “We always have a hard time collecting blood between Thanksgiving and New Years, so we anticipate that to be an issue again,” said Mauger. According to Mauger, the Red Cross needs to collect around 700 units of blood every day. A trauma case, such as a car accident, can require as much as 100 units of blood. These donations not only go toward trauma cases but are a regular treatment for cancer and sickle cell patients as well. “Our issue becomes during Thanksgiving and Christmas people are busy. They aren’t really thinking about giving blood and therefore we don’t get enough donations to meet our regular patient needs. It’s not that the need goes up, it’s just that the donations go down,” said Mauger. There are no alternatives for the Red Cross when it comes to voluntary blood donations, there’s no way to manufacture blood, it needs to come from volunteers. There are countless patients who rely on daily blood treatments, so when the supply falls, it directly impacts the health and well-being of many people. “The statistic is every two seconds someone in the United States needs blood, and that’s kind of startling when you think about it,” said Mauger. A single donation can save up to three lives, according to Mauger. The different components of blood can meet a number of needs. 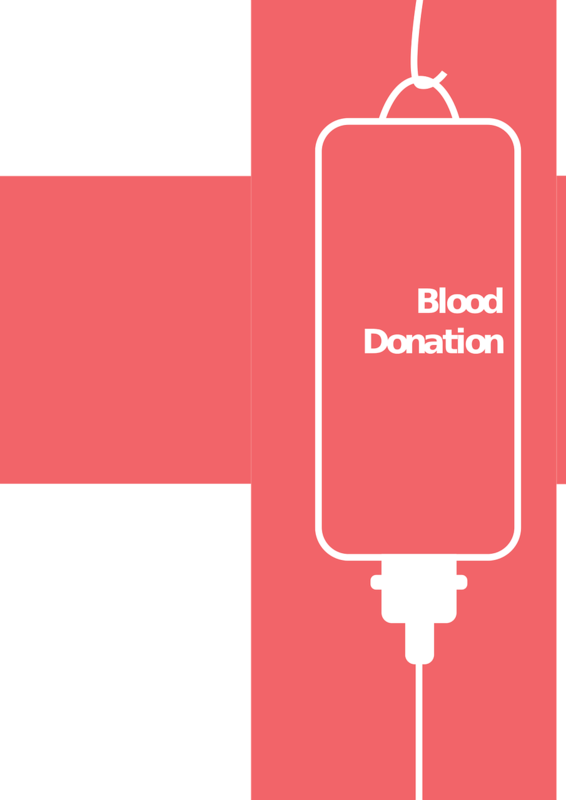 Some patients require the platelets that come from blood, some require plasma and some require the actual blood cells. When someone makes a donation, the Red Cross first makes sure the local need is met. “We have 130 hospitals in the Penn-Jersey region that we supply blood to so we make sure that their needs are met first,” said Mauger. When it comes to specific blood types, Mauger says there is always a need for O Negative, the universal blood type. In the case of a trauma, a doctor can lose precious time testing a patient for blood type so it is critical they have O Negative on hand so they have blood they know they can use right then. Mauger wants everyone to know that giving blood isn’t as scary as it may seem. It only takes about an hour of your time if you make an appointment first. After some simple health questions, your temperature and blood pressure are taken to make sure you are feeling well enough to donate. “You’re actually only on the donation table for eight to 10 minutes. It’s not as daunting as people think and then we give you some goodies, snacks and orange juice,” said Mauger. If you can’t make the drive in Cinnaminson on Nov. 23 you can also visit redcrossblood.org and enter your ZIP Code to find drives in and around your area.